For those interested in becoming a physician, there are two different paths that you can take: training as an Allopathic physician (M.D.) or as an Osteopathic physician (D.O). Generally speaking, M.D. trained physicians are more prevalent in modern medicine, but D.O. trained physicians are becoming more commonplace, with new Osteopathic medical schools cropping up across the United States. 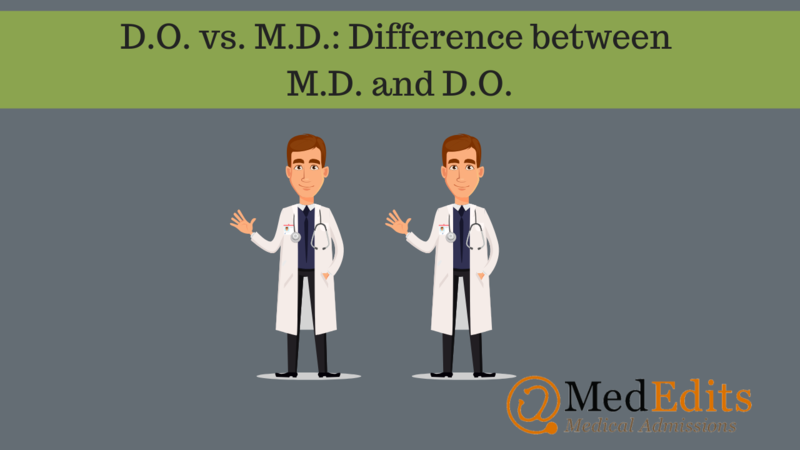 But when determining what path to take in your medical training, it’s worth exploring: what is the difference between M.D. and D.O. trained physicians? While both Osteopathic and Allopathic physicians are medical doctors, there are some differences in education and training that set them apart from one another, primarily the practice of Osteopathic Manipulative Treatment (OMT). OMT was originally conceived as a form of medical treatment in the 19th century by Dr. Andrew Taylor Still, the founder of osteopathy and the American School of Osteopathy in 1892 (now A.T. Still University in Kirksville, MO). OMT is a set of hands-on techniques used to treat, diagnose, and prevent illness and/or injury that involve stretching, gentle pressure, and resistance. Some of the more common problems treated through OMT are asthma, sinus disorders, and migraines, as well as some musculoskeletal ailments like lower-back pain. Along with standard medical education, OMT is taught exclusively in Osteopathic medical schools, and is used as a complement to – or in some cases, a replacement for – some drug or surgical therapies. The general philosophy behind Osteopathic training is also different than that of their Allopathic counterpart; the focus of Osteopathic medicine is to look beyond symptoms and examine the patient as a whole. During a patient interaction, emphasis is placed on performing thorough physical exams, using touch and OMT to help diagnose and provide treatment. There is also a large focus on primary care, with nearly 20% of Osteopathic students pursuing Family Medicine as a career. This is not to say that Osteopathic physicians are not able to become specialized physicians; on the contrary, Osteopathic graduates are able to match into any medical specialty they choose alongside their Allopathic counterparts. Aside from the differences is training practices, Osteopathic physicians are significantly less prevalent than Allopathic physicians. Allopathic medical schools span the globe and can be found in nearly every country. On the other hand, Osteopathic medical schools are only in the United States, totaling 35 institutions. Osteopathic physicians currently comprise 7.8% of the physician population as of 2017 according to the Association of American Medical Colleges (AAMC). But with new Osteopathic medical schools being built, they will likely become more commonplace as the years go on. The primary factor that determines your competitiveness for D.O. versus M.D. schools will depend on your MCAT and GPA. To determine your competitiveness, consider the average GPAs and MCATs for both groups. As you can see, the stats for allopathic medical schools are much higher than those for osteopathic medical schools. Therefore, your decision of where to apply should, in part, depend on your overall competitiveness. Many students apply to both allopathic and osteopathic medical schools simultaneously. 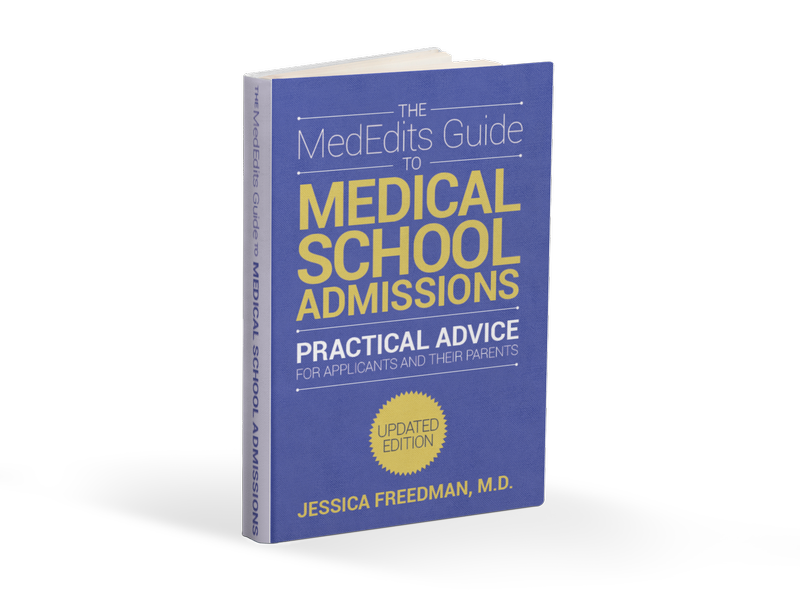 When preparing for entry into medical school, the admissions process doesn’t vary to much of a degree. Individual schools may place specific requirements on applicants in order to be considered for admission (certain number of letters of recommendation, preferred extra-curricular activities, etc.) but generally speaking, admission requirements between Osteopathic and Allopathic schools are identical. Both will require the completion of the Medical College Admission Test (MCAT), and both will require the completion of biology, physics, and chemistry courses. The only notable difference between admission practices of the two schools is that Osteopathic schools tend to place heavier weight on whether or not an applicant has participated in an observership or shadowing opportunity with an Osteopathic physician. There are two application services for M.D. and D.O. medical schools. When applying for allopathic medical schools, students must completed the AMCAS application which requires a 5300 character personal statement and application entries. For osteopathic medical school consideration, students must complete the AACOMAS application which consists of a 4300 character personal statement and application entries. For the most part, the application entries can be used for both applications, but, each application requires a different personal statement. Both application services open in May, but, the AMCAS application can be submitted in June whereas the AACOMAS application can be submitted in May when the system opens. Within medical school, both Allopathic and Osteopathic students must complete a series of exams in order to progress and ultimately graduate: the United States Medical Licensing Examination (USMLE) and/or the Comprehensive Osteopathic Medical Licensing Examination (COMLEX) respectively. Alllopathic medical students only take the USMLE, but, osteopathic students might opt to take both the USMLE and the COMLEX depending on the specialties and programs to which they plan to apply. Both series of exams are designed to assess a student’s medical knowledge, concepts, and principles, with the COMLEX also assessing Osteopathic knowledge and skills. While each student must complete their respective exams in order to graduate and move on to their post-graduate training, Osteopathic students have the unique opportunity to also complete the USMLE alongside the COMLEX if they so choose. The results of these exams can impact an applicant’s competitiveness for residency, so participating in both exam series can either be markedly beneficial or hindering depending on the final scores. As of the 2019-2020 academic year, all medical students will participate within the same process for securing positions in residency programs across the United States. This also means that Allopathic and Osteopathic students will be competing for the same spots, where before there were specifically designated Allopathic and Osteopathic residency programs. Because of this change in the post-graduate environment, there are some concerns about the ability for the two disciplines of medical students to compete for residency positions on a level playing field; however, the overall spread of medical students as a whole likely will not change as a result. Anecdotally, historically Osteopathic programs are more likely to interview and accept Osteopathic students, and a number of these students are already able to secure positions at historically Allopathic programs. According to the American Association of Colleges of Osteopathic Medicine (AACOM), 98.75% of Osteopathic medical students successfully placed into residency positions, both Allopathic and Osteopathic alike. In the end, the differences between both Allopathic and Osteopathic physicians do not get in the way of the primary purpose of the profession: providing quality care to their patients. Both physician disciplines are equally capable of providing care in any environment, whether it’s the operating room, the hospital floor, the emergency room, the urgent care facility, or the private office. In fact, most allopathic and osteopathic physicians practice in the same way. Salary differences between M.D. and D.O. depend less on the degree earned and more about the chosen specialty. When sitting down and deciding which medical career path to take, take into account the differences between the two disciplines, your competitiveness for each path and your suitability for a career in each. Schedule a free 15 minute medical school admissions advising session.